LeakyCon Heading To Dallas In August 2018! We’re excited to announced that LeakyCon 2018 will be held at The Hyatt Regency in Dallas, Texas, from Friday August 10th to Sunday August 12th 2018! LeakyCon 2017 in Dublin was absolutely magical, featuring panels with familiar faces from Harry Potter and Fantastic Beasts, brilliant discussions on the books, films, fan projects and much more. It was magical enough, in fact, to feature in recent BBC Two documentary Harry Potter: A History of Magic! 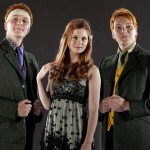 Mischief Management announced the new location today, along with details on how to get tickets at LeakyCon.com. Tickets will go on sale to the public on Wednesday, November 15th at 2 PM ET / 1 PM CT.
“After a wildly successful 2017 event in Dublin, Ireland, LeakyCon returns to the United States and, for the first time, will bring its magic to Texas. Featuring some of the biggest fans, actors, and creators, LeakyCon will host panels, interviews, discussions, and celebrations of “The Boy Who Lived” and the extraordinary impact his story has had on both the Wizarding and Muggle worlds. 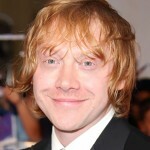 LeakyCon is produced by Mischief Management. What do you think the theme for the next event could be? 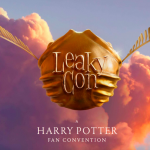 Find details on ticket prices and more at the official LeakyCon website here.